How many racehorse trainers are Australian household names? There's Bart, of course; the Master. And First Lady Gai. And then there's Moods Peter Moody. 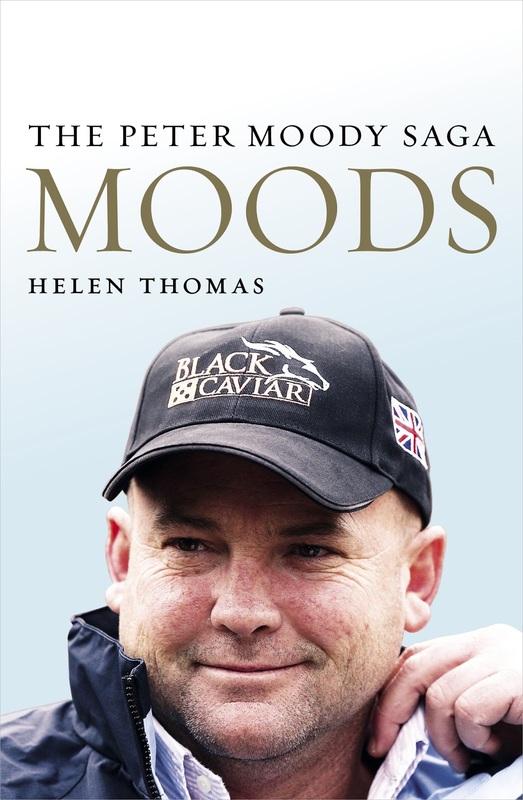 Respected news journalist, broadcaster and veteran racing writer Helen Thomas travelled far and wide to discover what drives Peter Moody. Gai Waterhouse: Autobiography / Waterhouse, Gai. Gai Waterhouse has one of the most captivating stories in Australian sport. Her early working life centred around modelling and acting, but as the daughter of legendary trainer Tommy Smith racing was in her blood, and she began working for her father at his stables. She's gone on to become one of Australia's greatest trainers, winning over one hundred Group 1 races, and finally the pinnacle of the sport - the Melbourne Cup - in 2013, becoming the first Australian woman to do so. Along the way she's brought some much needed glamour and fun back into racing, creating a cult following among both owners and punters. Full of energy, passion and drive for success, Gai's life has been a lesson in perseverance, hard work, determination and flair. Now for the first time she tells the full story of her remarkable life. The extraordinary story of the first female jockey to win the Melbourne Cup. Michelle Payne rode into history as the first female jockey to win the Melbourne Cup. She and her 100-to-1 local horse Prince of Penzance took the international racing world by surprise but hers was no overnight success story. Michelle was first put on a horse aged four. At five years old her dream was to ride in the Melbourne Cup and win it. By seven she was doing track work. All of the ten Payne children learned to ride racehorses but Michelle has stayed the distance. She has ridden the miles, done the dawn training, fallen badly and each time got back on the horse. So when she declared that anyone who said women couldn't compete in the industry could 'get stuffed', the nation stood up and cheered.Michelle has the audacity to believe she can succeed against all the odds. Her story is about hope triumphing over adversity, and how resilience and character made a winner. Jim Cassidy is the ultimate 'colourful racing identity'. In a stellar 38-year career, 'The Pumper' won 104 Group 1 races, including two Melbourne Cups - the first in 1983 on Kiwi, a $1000 farm horse, where Cassidy came from dead-last to win; the second a famous redemption ride on Might and Power in 1997. Brilliance in the saddle and bald-faced cheek in the press made Cassidy the Australian racetrack's most beloved and controversial character. His horse whispering gifts, gambler's charm and maverick wit always made him a favourite with the punters, trainers and journalists...but rarely officialdom. Cassidy's fast life and uncensored opinions led to his exile after the Jockey Tapes scandal in the '90s. Broke but never broken, he fought back. And even when he was back page and front page news, Cassidy's popularity never waned. As he'd quip in victory, 'Ring-a-ding-ding, Pumper's the king!' 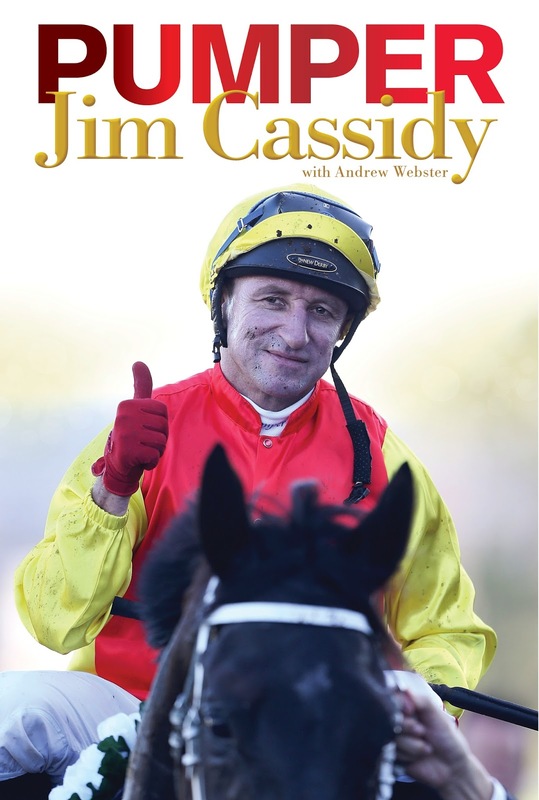 Honest, heartfelt and often hilarious, this is Jim Cassidy's explosive autobiography - a page-turning thrill-ride through his many adventures on and off the track. 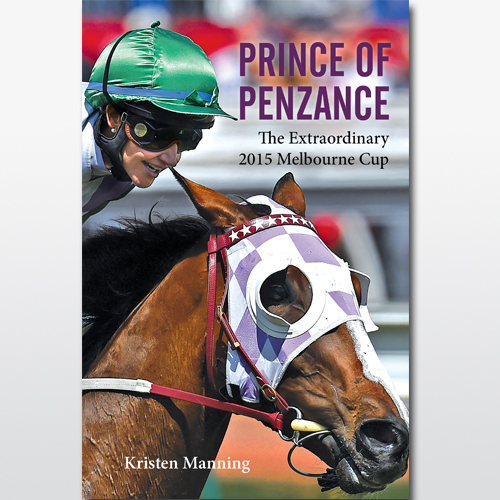 Prince of Penzance : the extraordinary 2015 Melbourne Cup / Kristen Manning. 24 horses lined up for the running of the 155th Melbourne Cup. At 100-1 Prince Of Penzance was the equal outsider, backed mainly by those hoping for a fairy-tale. A popular female jockey aboard when no woman had ever won the race before. A country bloke who had risen through the ranks from humble beginnings as a farrier in Stawell to become one of Australia's most successful and prolific trainers. 24 enthusiastic owners who had been following their horse all around Victoria from Stawell to Donald to Flemington. A New Zealand bred horse with a bargain price tag...Up against expensively bred stayers from Japan and Europe, horses owned by Sheikhs and millionaires. 100-1 shots are usually greeted back to scale with muted applause but there was a mighty roar for Prince Of Penzance. An extraordinary Melbourne Cup winner. A book about the background to the memorable 2015 Melbourne Cup from the perspective of those behind the triumph and how they experienced the race that stopped two nations! 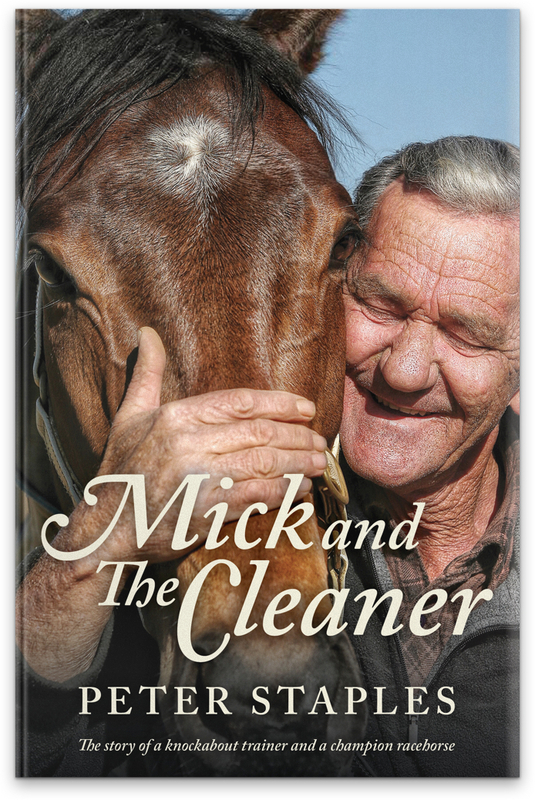 It was in Launceston in February 2011 that battling horse trainer Mick Burles and a gelding called The Cleaner began their racetrack journey that was to make its mark on the landscape of the Australian turf.The Cleaner, bought two years earlier at a yearling sale for just $10,000 went onto earn more than $1.3 million in prize money. 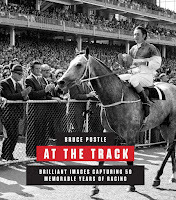 At the track : brilliant images capturing 50 years of racing/ Bruce Postle. 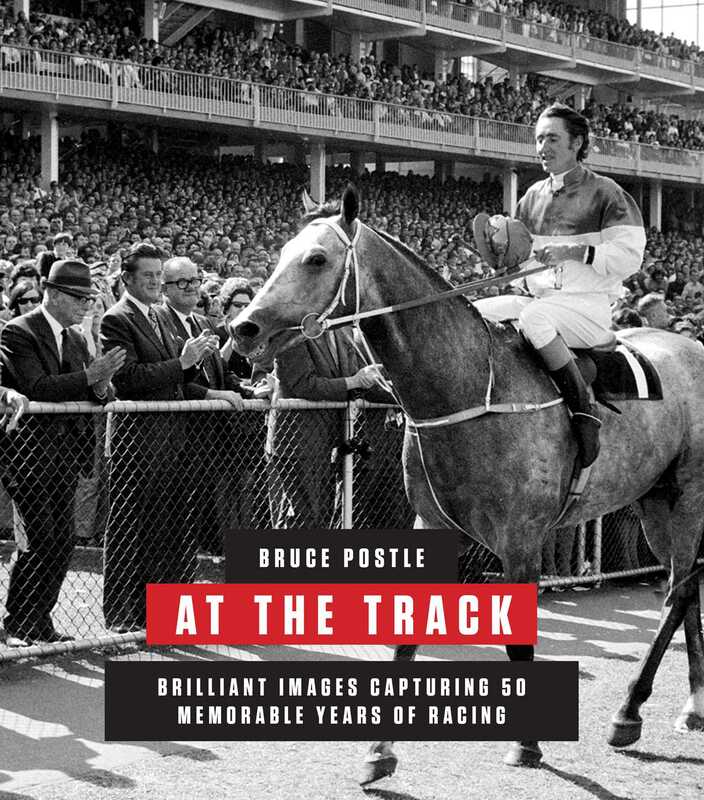 This book showcases 155 of Bruce Postle’s greatest images from more than 50 years covering events at racetracks in Austalia. These photographs display the colour and character of horseracing in Australia, from glory to disappointment, and tumbles to triumph, revealing the drama on and off the track. Postle's special skill is in capturing the unique bond between the horses and the people who work with them. 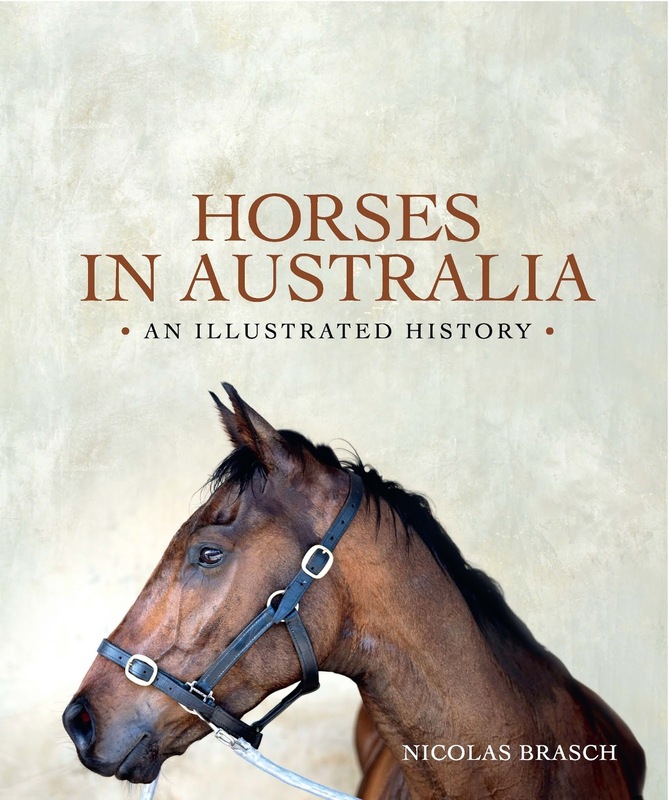 Horses in Australia : an illustrated history / Nicolas Brasch. 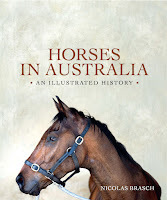 A lively, beautifully illustrated celebration of the pivotal role of the horse in Australian history and modern life, showcasing our best historical and contemporary images.The horse has been an integral part of Australian history since the First Fleet brought the first horse to our shores. From the resilient workhorses of colonial Australia and the determined stockhorses rounding up livestock, to the champion racehorses that capture the country as imagination at every Melbourne Cup, horses have contributed to many of the great human feats in our history.Here, alongside more than 100 carefully chosen images, Nicolas Brasch explores why horses have long been appreciated by Australians from all walks of life a and how they have been captured so strikingly by our photographers and artists.